cooking and baking It's also suitable for all the family including diabetics. 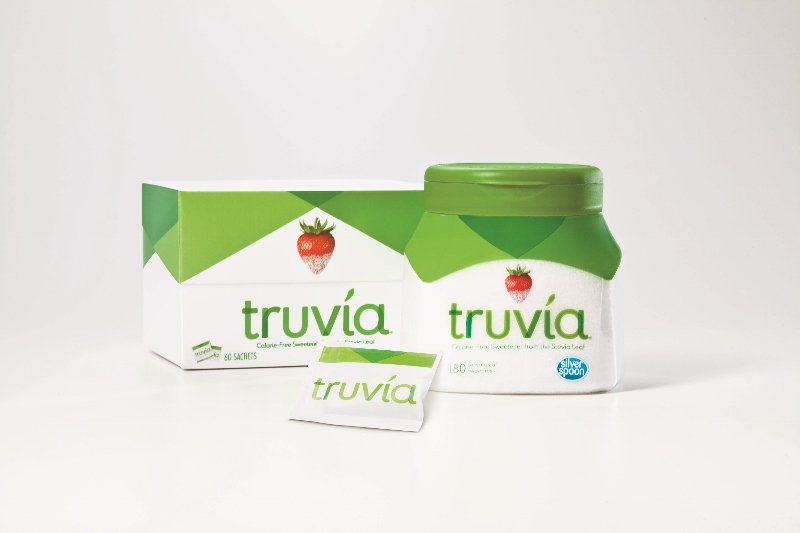 Truvia Calorie-Free sweetener is refreshingly uncomplicated. Sprinkle it on your grapefruit. Spoon it in your tea and coffee. It won't end up on your conscience or your thighs. One sachet of Truvia Calorie-Free sweetener provides the same sweetness as one teaspoon of sugar. Truvia Spoonable provides you with the option to sweeten to your own taste. 1/3 teaspoon sweetens like 1 teaspoon of sugar. Truvia Calorie-Free sweetener is a great alternative for people with diabetes. It is also kosher pareve (neutral) and suitable for vegetarians. My sister gave me this, she tried it and said it made her tea taste funny. I think it does give things an almost vanilla or fruit taste, can't quite place it but not bad. I actually love your blog but I ahve to tell you taht Truvia is chemically processed so much that it's white instead of green (stevia plant leaves are green). It's like taking so much out from organic stevia leaves that you might as well be buying normal sugar (which is also chemically processed). You are free to do some research of your own but I hope public is not deceived any further. Thank you for reading my comment. Hi Kelly,I never knew that :O I shall definatley look into this one. Thank you for taking the time to comment. I always apreciate feedback on the products I try.